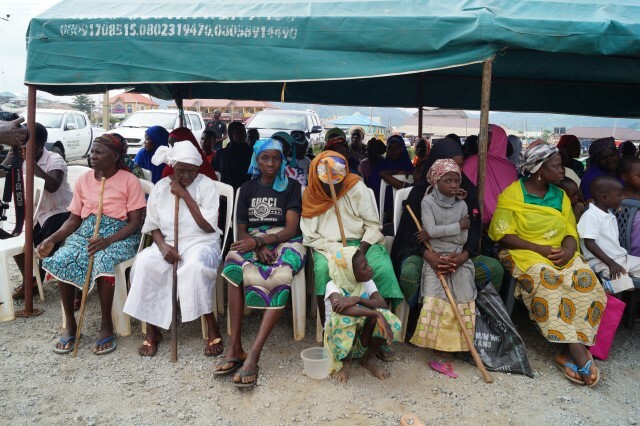 CELEBRITY CLEANUP: BWARI AREA COUNCIL HOSTS ONE OF THE BIGGEST COMMUNITY SERVICES EVER. Hon Peter Yohanna Ushafa, the Executive Chairman and first citizen of the Bwari Area Council under which Celebrity Cleanup, Abuja Edition is holding has agreed hosted the wave-making, Celebrity studded event. Keeping to his promise to the Cleanup Ambassadors, organizers of the Celebrity Cleanup, the Chairman ensured proper mobilization of the community to come out en-mass to share in the success story. Here are 7 amazing things to note about the just concluded Celebrity Cleanup. CharlyBoy, Amb John Fashanu, MBGN Universe and World Miss Congeniality-Queen Celestine, Dr Mike Omotosho (CEO SHI and incoming Governor of Rotary International district 9125, which includes 23 states in Nigeria plus FCT), Collins Adeyemi (PMAN Governor), Hon. Bala Kaoje (fmr. MINISTER OF SPORT), Amb Utchay Odims(Award winning UN Ambassador and Founder Love and Relate Foundation), Expensive of Wazobia Fm, Face of Most Beautiful girl in Abuja, Capt. Isaac Balami (President of Association of Pilots and Aircrafts Engineers in Nigeria), Amb. Racheal Bakam, Amb David Egwu (Co-Founder Young CEO Business Forum, Bar Rex Idaminabo (Founder African Achievers Award and listed 30 most promising Young Entrepreneur in Africa 2015 by Forbes), Winners of Most beautiful model in Nigeria, Solomon Nda Isaiah (Editor in Chief Leadership Newspaper), Miss Heritage Nigeria, White Nigerian and many others. 3) There was free medical care including free eye tests. 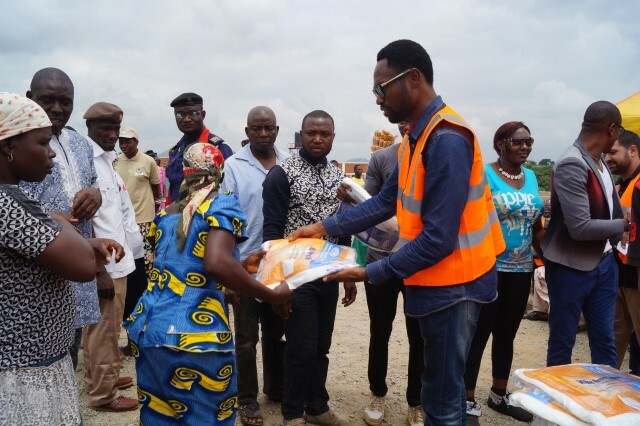 Medicated eye glasses and mosquitoes net were also given out. 4) Free wheel chairs and crutches were donated to the disabled. 5) There was music, dance and comedy performances. 6) The event was open to. Everyone was treated as a celebrity; so many people participated to give back to the society that made them. 7) Date was Saturday, June 27th, 2015 and take off point was Berger roundabout at 8am in a convoy. Registration starts at 7:30am. Free sanitation kits were made available to the 1st 50 people on a 1st come, 1st served basis. 8) Sanitation Destination was Duste Bokuma in FCT. 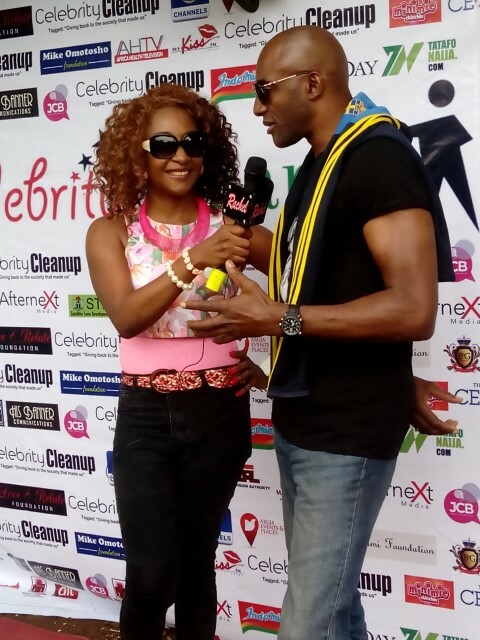 The event is powered by Cleanup Ambassador and proudly supported by this blog.